Are you new to sewing? 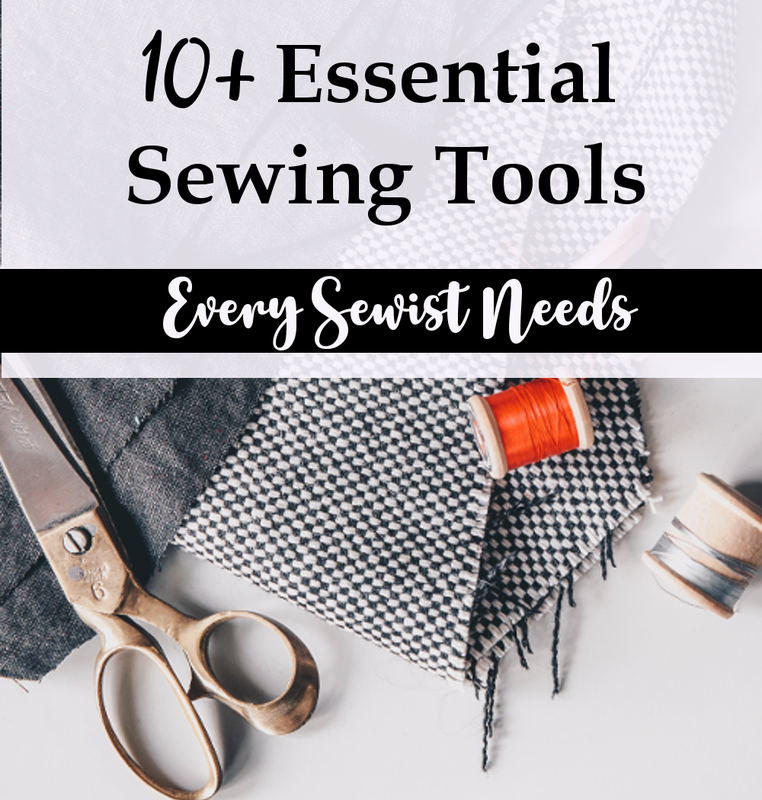 You are probably trying to figure out what tools you need to be ready to sew. 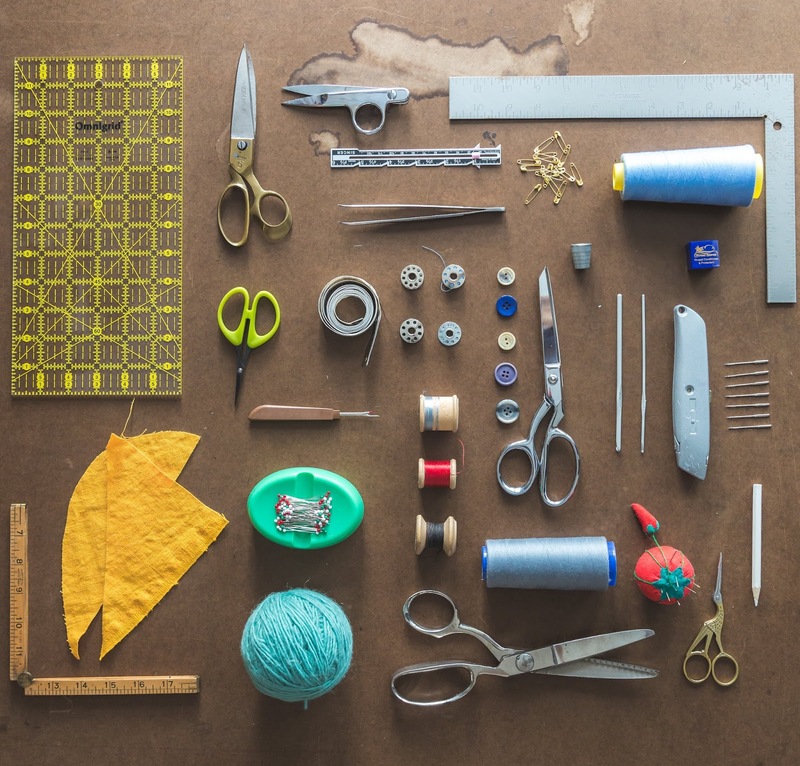 Perhaps you are overwhelmed with the amount of sewing tools and gadgets out there. So we put together the perfect list of sewing tools for beginners. These tools will get you started sewing, whether you plan to use paper patterns or step into the world of PDF patterns, like those in our GYCT Designs pattern shop. *This post contains affiliate links to products I have used and highly recommend. I do make a portion off any you may purchase. But I wouldn't link to them if they weren't awesome! See full disclosure here. Remember when shopping for supplies you don't need a lot of sewing tools. You just need a few to make your projects a success. You can get a simple started sewing tool kit, but often the supplies in these basic sewing tools kits are cheaply made. So make sure to shop around before purchasing one of these. One nice started kit is actually made by Cricut. They have a nice and simple sewing tool kit. Also remember there are a lot of non-essential sewing tools. They can make your life easier but you don't need them to be a successful sewist. Now, let's jumpin into the most essential sewing tools list. Click on any of the images below to see more details!! If you are going to sew, you need a machine. There are many brands and levels of sewing machines. But a simple machine is a great place to start. The machine below is similar to the one I started with. A good pair of scissors is so important. I LOVE my Gingher scissors. They are more expensive, but they are AMAZING and you can cut through anything and you will love them. Just make sure you only use them for your sewing projects. Cutting will dull scissors can really damage your fabrics. This may seem like a non essential tool, but having these smaller scissors will help you get into those small corners and clip your curves. Plus, these are great for cutting threads! You'll be cutting a lot of threads. You MUST have a tape measure. It is one of the most essential sewing tools for beginners. It doesn't need to be fancy. But you have to have one. It is also always great when you can find one that is your favorite color or has a fun print. A clear ruler versus a solid ruler is so important. Why clear? You can see what you are doing while you are doing it. Whether it is drawing lines on a pattern piece or cutting your fabric correctly. Deciding which ruler you need depends on how often you sew and whether you quilt or not. Quilters tend to need more inches to measure, but a simple 2" x 18" works great. A seam ripper is ESSENTIAL, maybe the most essential things after your sewing machine. It will become your best friend and maybe your worst enemy as well. But you'll want one you can always find. So the bigger the better, at least that is my view. If you don't know what a seam gauge is, it is a small ruler that you can use to "gauge" the length of your seams, hems, seam allowances, etc. It is a ruler, however, it also has a moving tab that helps you find the right size and the tab stays put. So you don't have to keep finding the right measurement each time. Another sewing tools for beginners is a good pin cushion. I personally love my magnetic pin cushion. It keeps all your pins in one place and if you spill pins, you can simply flip it over and use it to find them. Wahoo! Used it a lot for this. You'll need some type of pin to keep your fabrics together. You can use regular pins and they come in a variety of colors and sizes. Another super popular pin is the flat pin. They have a flat head instead of the rounded top. Lot's of people like the flat head for grip and ease of sewing. Another popular choice is the Wonder Clips. Lots of sewists, especially quilters, love the wonder clips. They hold a lot of fabric and layers. You'll want some type of tailors chalk or a fabric pen. Tailors chalk and fabric pens are designed to wash off of fabrics. When you need to mark on fabrics for where to sew or cut, these are what you want to use. Just make sure if you purchase tailors chalk that it doesn't have a wax in it. Wax does not come off of fabric well. If you plan to sew clothing patterns, you'll want a french curve ruler. You'll use this ruler when you need to adjust a pattern size or grade patterns between sizes. The french curve ruler will easily smooth out the lines. This is the one I've used for the past 15 years. And I LOVE it. This may seem like an essential item to add to your sewing tools list, but once you've used one to cut out fabric, you may never go back. Many sewists cut out all their patterns with a rotary cutter. I prefer cutting my clothing patterns and fabric out with scissors, but I do use my rotary cutter for any square or rectangular pattern pieces. If you are using a rotary cutter, you'll need a way to cut. So get a nice self-healing mat. You can get them in several sizes and colors for whatever your need may be. I just recently got a super small mat that is perfect for smaller projects. If you are going to sew, you must have thread. Not all threads are created equal either. I really love the Gutermann thread. It is expensive, but if you are creating something you plan to use for years and years, you want a thread that will hold up. If you are worried about the price, you can always grab a coupon from Hobby Lobby and get your thread for less. Good quality thread makes a difference in a project. See how small our sewing tools for beginners list is. You don't need a ton of tools to be successful. 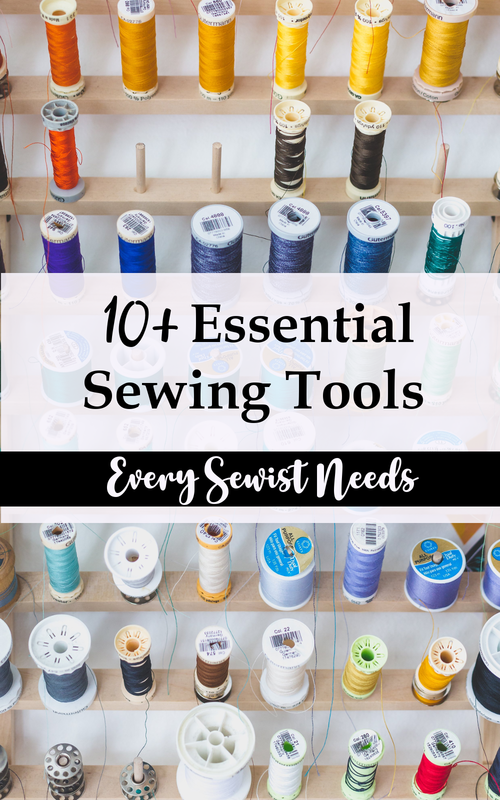 Over time you will acquire more and more based on the type of sewing you enjoy, but for starting out you just need those basic tools on your sewing tools list.